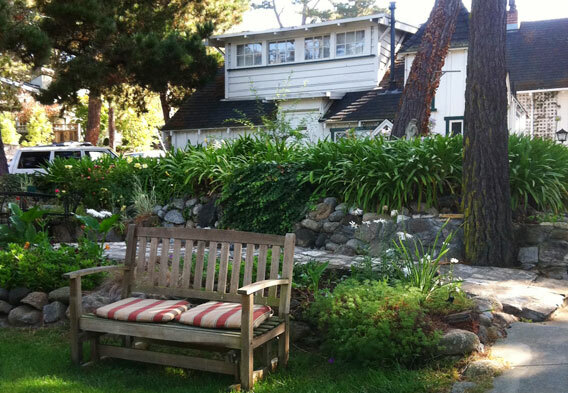 The Green Lantern Inn Bed & Breakfast in Carmel, California has been welcoming guests since 1927. Found just four blocks from Carmel Beach and even closer to the shopping and restaurants on Ocean Avenue, it offers a total of 17 rooms that are divided among six unique cottages. Guests are treated to a buffet breakfast each morning, light refreshments in the afternoon, and gourmet coffee throughout the day. It’s little touches like these that help to make the Green Lantern Inn such an inviting Carmel lodging choice. Each of the rooms at the Green Lantern Inn Bed & Breakfast has a private entrance and is equipped with wireless internet access. Other standard amenities include a private bath, a hair dryer, a small refrigerator, a telephone, voice mail, and a television with DVD and VHS players. Outside of the rooms, the general facilities at the Green Lantern Inn B&B include a charming dining room, a garden courtyard, and a video library. For those who are planning romantic escapes to Carmel, some of the Green Lantern rooms have fireplaces. The hotel also offers romantic room packages that can include such things as a couples massage and a picnic in the park.